Join Caitriona Balfe in the launch of her campaign "I'm an unusual lady" with this limited edition t-shirt. Additional styles and colors, available for all unusual ladies, are available in the dropdown. Be More Like The "Unusual Lady"
She’s "an unusual lady" who prefers the simplicity of bold colors and clean lines to all of the fuss of the frilly. She’s travelled the world and can rehash the stories of her past, but don’t cross her or you’ll get a taste of her quick tongue. 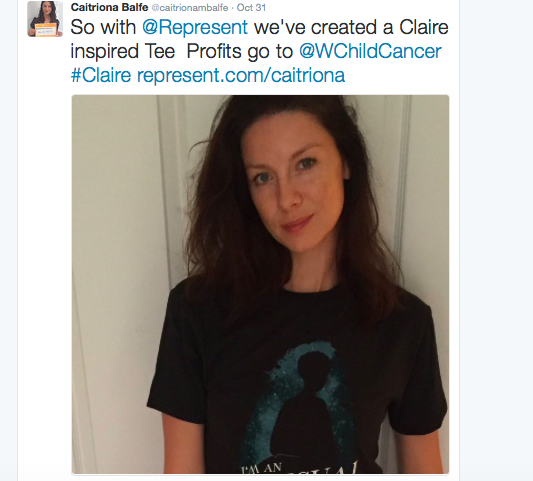 Be more like the “unusual lady” with one of these limited edition t-shirts from actress Caitriona Balfe. With five styles in four colors - maroon, orange, heather grey and black - we’ve covered your need for color all with a simplistic design to channel Balfe’s need for simplicity. International shipping is available for all our Balfe fans living abroad.